The New Mexico Department of Health is warning residents the first case of plague this year has been contracted by a dog in Santa Fe County. NMDOH is performing an investigation of the dog owner's home to assess the risk of the disease potentially spreading. "They will go door-to-door to neighbors near the case to inform them about plague found in the area and provide information to residents on reducing their risk," said Department of Health Secretary Lynn Gallagher in a press release. There were 28 animal cases last year. Four New Mexico humans who contracted plague in 2017 survived the sickness. Plague is a bacterial disease that can be transmitted to humans through direct contact with infected animals. While animals usually display symptoms including fever, lethargy and disinterest in food, the illness in humans has a quick onset and can be severe. Last year China became the 7th country in 2017 to confirm a Bubonic plague outbreak after biggest outbreak in 50 years in Madagascar killed more than 200 people. China was the latest country last year to discover the Bubonic plague after a person died of the disease. Subei County in northwest China's Gansu Province on Wednesday lifted a quarantine for plague after local health officials said they believe they have controlled the disease from spreading. A person in Subei showing symptoms of plague died on Dec. 12. Further testing later that day confirmed the person died of the bubonic plague and ensuing septicemic plague. The county was put under quarantine the following day. twelve people who had close contact with the victim have shown no symptoms of the plague in the past nine days, local health officials said. Is the plague on a resurgence? In November 2017, a total of 2119 confirmed, probable and suspected cases of plague, including more than 200 deaths were reported by the Ministry of Health of Madagascar to the World Health Organization, WHO. The island off the east coast of Africa is no stranger to the Bubonic Plague with small outbreaks every year, what was disturbing this year, however, was the fact most of the cases in this year's outbreak was the pneumonic plague, a more virulent form that spreads through coughing, sneezing, or spitting and is almost always fatal if untreated. For the 1st time, the disease long seen in the country's remote areas was largely concentrated in its 2 largest cities, Antananarivo and Toamasina. As the outbreak of the plague in Madagascar continued to evolve at a pace an alarming development saw the disease arrive in the Seychelles. 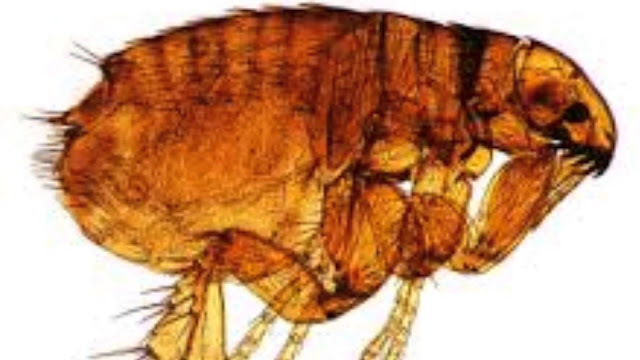 Health officials in Seychelles confirmed that 3 people tested positive for the Bubonic Plague in November. In December 2017 Peru was the latest country to discover rats infected with the plague after the epidemic scare in Madagascar. A ten-year-old boy in Siberia's Altai Republic contracted the bubonic plague, local medics told TASS in July 2017. The boy was hospitalized with a high fever and tested positive for bubonic plague. It is thought he later died. 2 bears were found in California with the plague just last summer: Positive bear samples were found in 32 counties in California. Navajo County Health Department was also urging the public to take precautions to reduce their risk of exposure to this serious disease, after being found in rodents in the Arizona county. The Apache County Health Department recently notified the public about a new prairie dog die-off in Concho, Arizona, in August 2017. In June 2017, two more cases of human plague were confirmed in New Mexico. The New Mexico Department of Health said a 52-year-old woman and a 62-year-old woman were recently diagnosed with the plague. According to health officials, the first confirmed case of the plague last year occurred in June when a 63-year-old man contracted the plague. In July last year, Parks Canada closed off a Saskatchewan national park's remote prairie dog colony to the public after two rodents from the area tested positive for sylvatic plague — the same bacteria that causes the bubonic and pneumonic plagues in humans. According to the World Health Organization, more than 13,000 people contracted bubonic plague in Asia, Africa and America between 2004 and 2013. Roughly 900 of them died from the disease. 250 have died in Madagascar this year in just two and a half months, which is thought to be the biggest outbreak in 50 years.